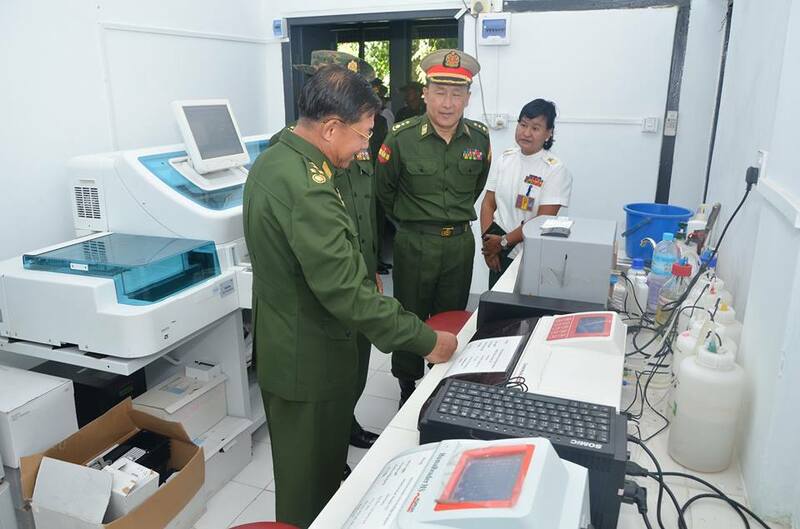 Conducting systematic research on the outbreak of liver and related diseases, and the treatment record of patients may largely benefit not only Tatmadawmen and their families but the citizens. 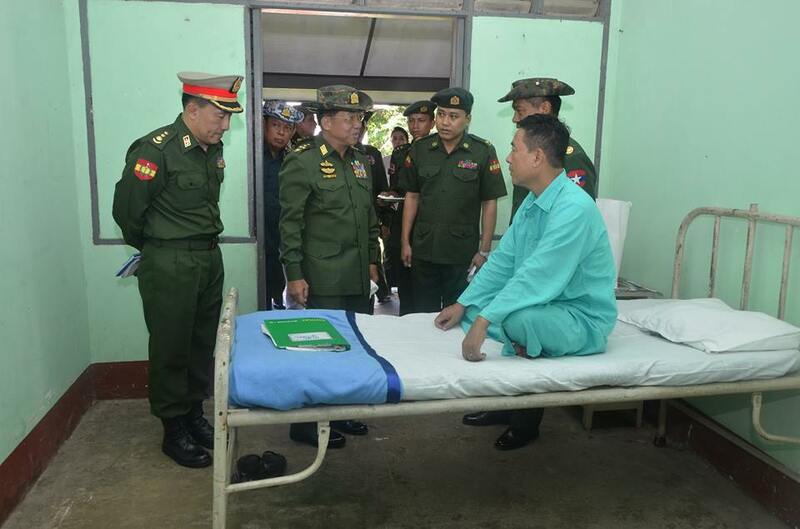 Cooperative efforts are therefore necessary for the Defence Services Liver Specialist Hospital in Mingaladon Station to become a specially reliable one, said Commander-in-Chief of Defence Services Senior General Min Aung Hlaing during his visit to the hospital this morning. 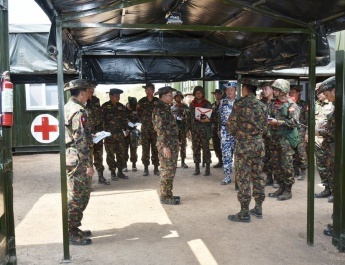 Firstly, the Senior General and parties visited Defence Services Liver Specialist Hospital where they heard clarifications made by the commandant on the organizational structure of the hospital, effective treatment for hepatitis B, hepatitis C, liver-related cancers and HIV, and administrative affairs. 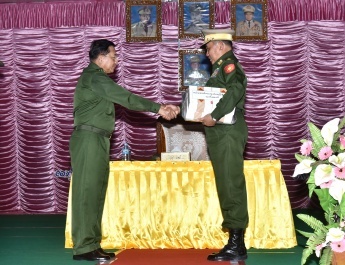 The Senior General then said that the fulfillment of necessities relating to doing blood tests for prevention against liver diseases and to provide medical treatment to patients, and publishing and broadcasting of articles on liver-related diseases and healthcare notices through daily newspapers and televisions on a wider scale. 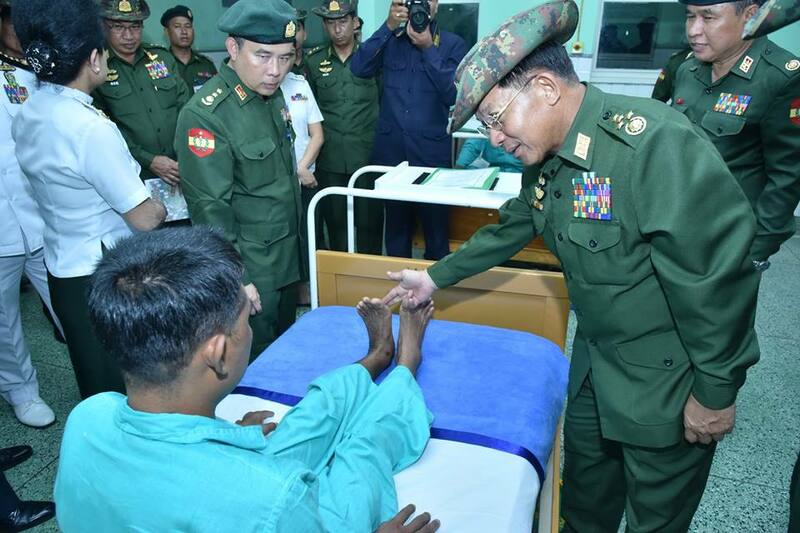 Next, the Senior General and parties comforted Tatmadawmen at the hospital’s Intensive Care Unit (ICU). 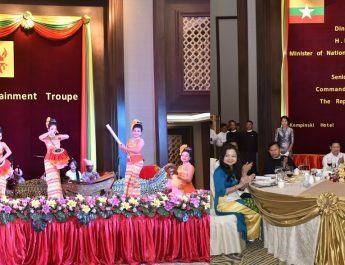 He frankly asked individuals about their diseases, treatment and progress of their heath, encouraged them and presented gifts to them. 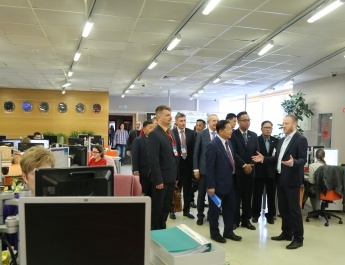 Afterwards, the Senior General and parties inspected the ICU, X-ray room, hematology unit and immunology section of the hospital and gave necessary instructions. 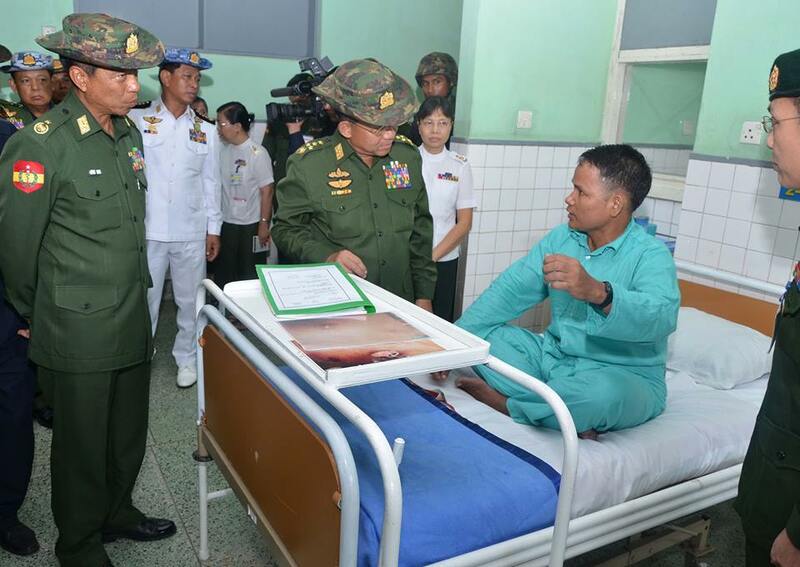 Later, the Senior General and parties visited Defence Services General Hospital (Mingaladon). 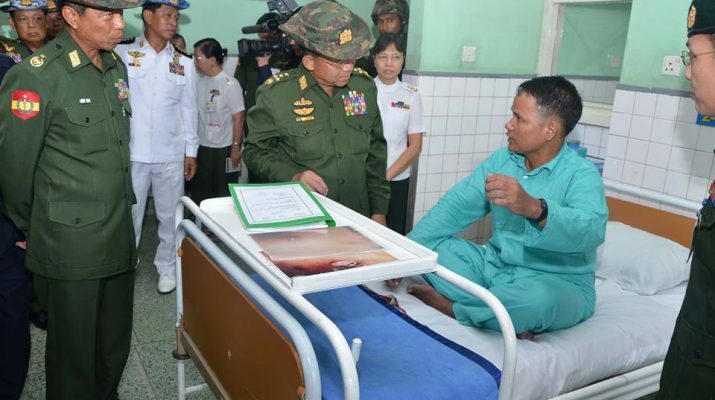 At the operation theater, the Senior General cordially greeted the individuals who sustained injuries during the frontline operations with words of encouragements and provided gifts to them.